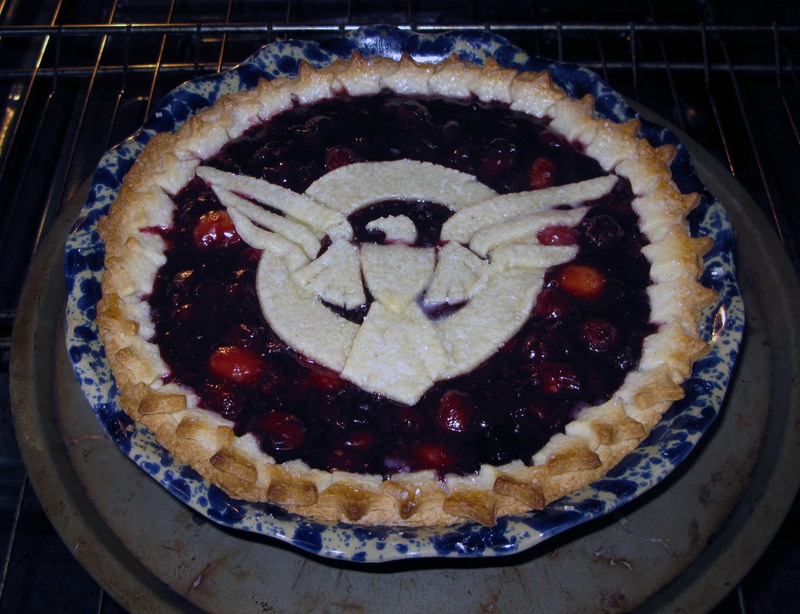 Agent Carter’s Cherry Pie | I Wanna Bake! In desperate attempts to come up with something that felt more right, I kept going back to the source material. According to the IMDB summary, “Steve Rogers, a rejected military soldier transforms into Captain America after taking a dose of a “Super-Soldier serum”. But being Captain America comes at a price as he attempts to take down a war monger and a terrorist organization.” Steve Rogers is a puny guy who keeps trying to get into the military during WWII, only to be rejected each time for health-related reasons. On the night his best friend is shipping out to the front, Rogers is approached by a scientist who works for the Strategic Scientific Reserve (SSR) with an offer to participate in a secret military program. Rogers accepts, and he’s off to training. There, he meets the bristly Agent Peggy Carter, a woman who is intent on showing her worth and fighting right alongside the men (and who will become Captain America’s romantic interest before the movie is through). After proving himself as a courageous man of character, Rogers undergoes the experimental super soldier process and immediately becomes bigger, faster, and stronger. Tragically, a Hydra operative shoots the doctor in charge of the program as Rogers is undergoing the transformation, so the project is scrapped and Rogers is relegated to performing in USO shows for the servicemen. However, when Rogers hears that American soldiers, including his best friend, are being held captive behind enemy lines, he decides to take matters into his own hands and go punch some Nazis. With the help of Agent Carter and Howard Stark (the man who will soon create his iconic shield), Captain America soon succeeds in his rescue mission. He then assembles a team out of the rescued men (the Howling Commandos), and they proceed to storm a Hydra base. He pursues their leader, Red Skull (who was the first test subject for the same super soldier project as Captain America), onto a large plane carrying smaller kamikaze planes, and defeats him there. However, Captain America cannot redirect the plane, so he decides to crash the plane into a glacier, (seemingly) sacrificing himself in the act. All is not lost, though. 70 years later, Captain America is found frozen in a block of ice in the ocean. S.H.I.E.L.D. (the newer version of the SSR) thaws and reanimates him, and he is left to contemplate his future (admittedly it’s a bit of a bummer). So, back to baking. 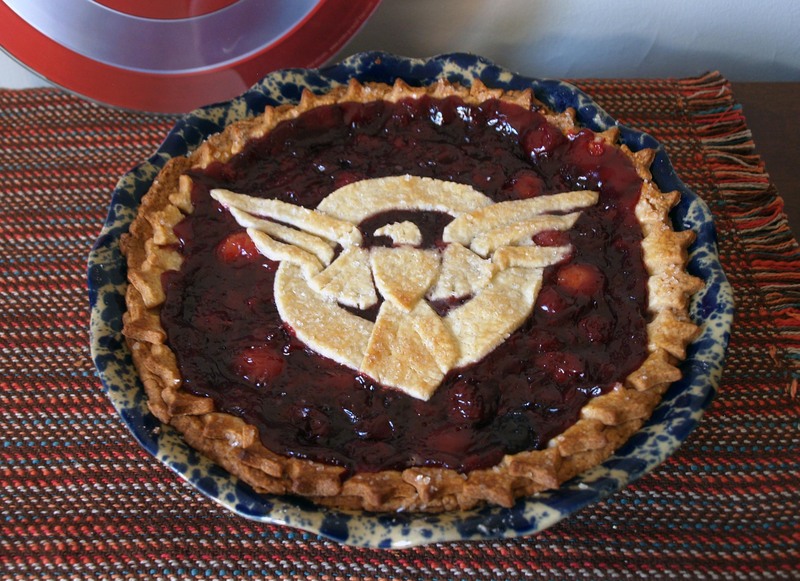 While thinking back over the plot and considering my choices one afternoon, in a fit of feminist frustration, I found myself thinking, “Captain America has enough desserts. Why shouldn’t Agent Carter have one? She deserves some recognition too.” And just like that, I found my inspiration. I wanted something that packs a punch, is tart with just enough sweetness, and preferably has a bold red color to match her signature lipstick. What fits all those criteria? 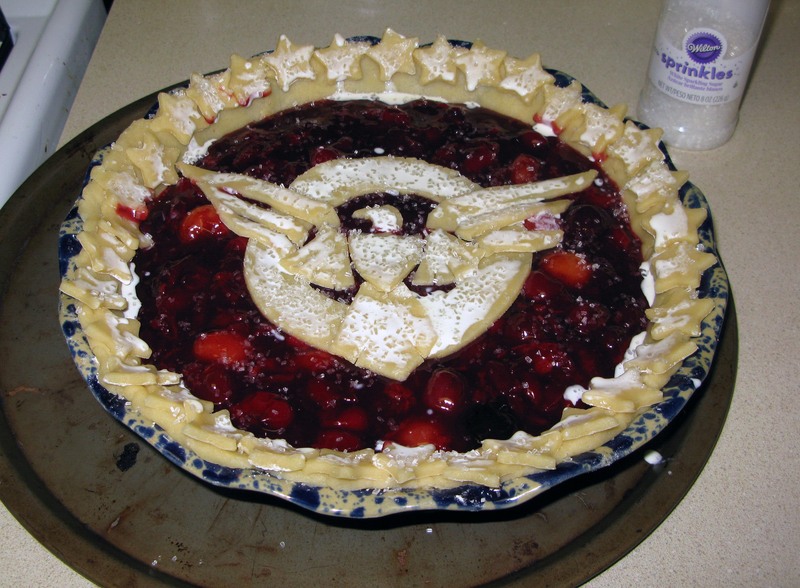 Cherry pie! 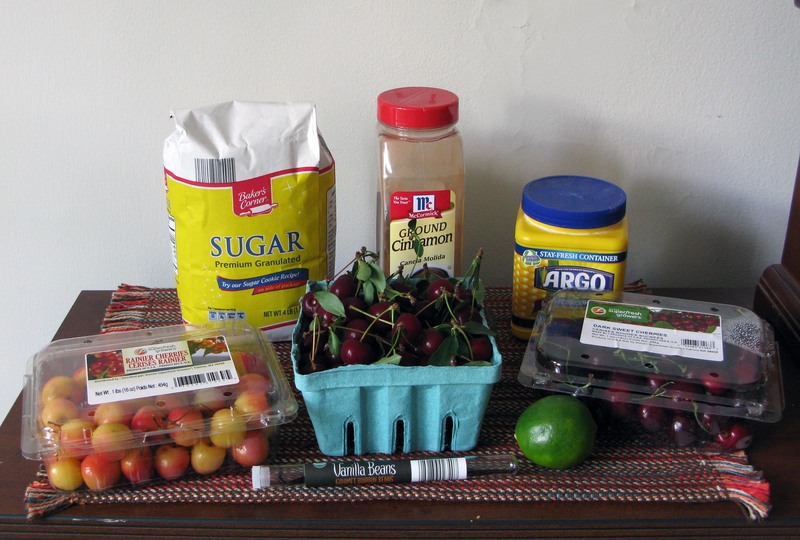 My usual cherry pie recipe uses only dark sweet cherries, and it’s delicious. To fit my movie-inspired criteria, I decided to change it up a bit and use a mix of tart cherries, dark sweet, and rainier. I also added some lime, cinnamon, and a vanilla bean to round out the flavors a bit. I bought my vanilla beans for a decent price at Wegman’s while I was out of town, but if you don’t want to spend the arm and a leg they normally cost, you can just substitute a tablespoon of regular vanilla extract instead. I liked the flavor the bean gave, but I wouldn’t judge you for making the substitution. Hopefully you can appreciate a bit of an out of the box approach on this one. If you will only be satisfied with something that looks like Captain America’s iconic, star-spangled shield, never fear, I’ve got you covered. Either way, I recommend you give this pie a shot. If you’re making your own crust, do this first. You can use the recipe at the link above or your own favorite pie crust recipe, just make sure that you have enough for a double crust pie. Divide the dough into two slightly different-sized discs, wrap them in plastic wrap, and chill the crust for at least one hour before assembling. Next, prepare the cherry filling. 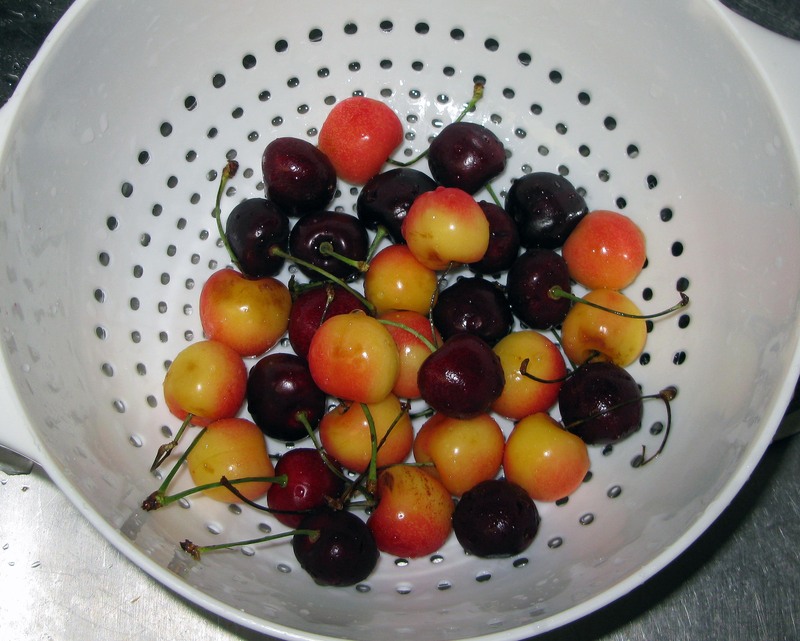 Rinse all of your cherries, remove their stems and leaves, and pit them. I use a cherry pitter, but you could do this with a paring knife if you have about a year to get through it. 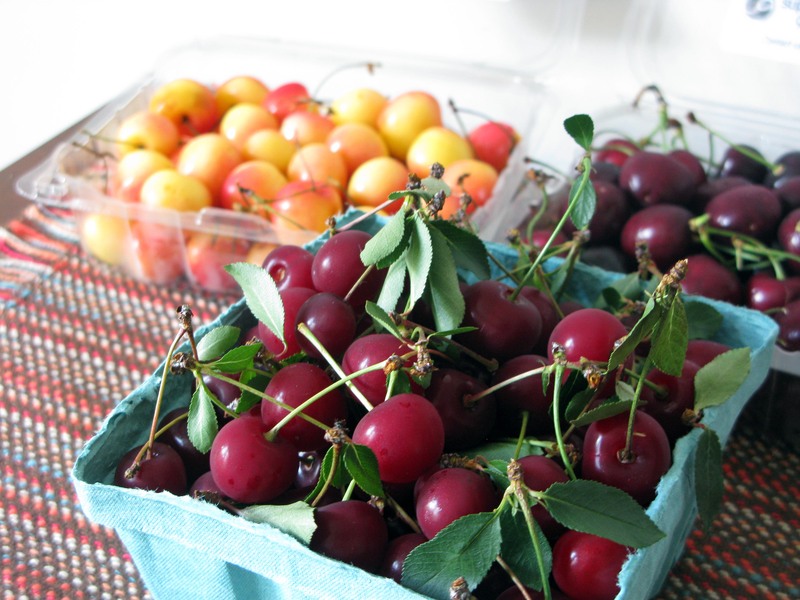 You should have approximately 5 cups of cherries when all is said and done. Basically, just use a mixture of dark sweet and rainier to make up the difference when you’ve gotten through the whole quart of tart cherries. 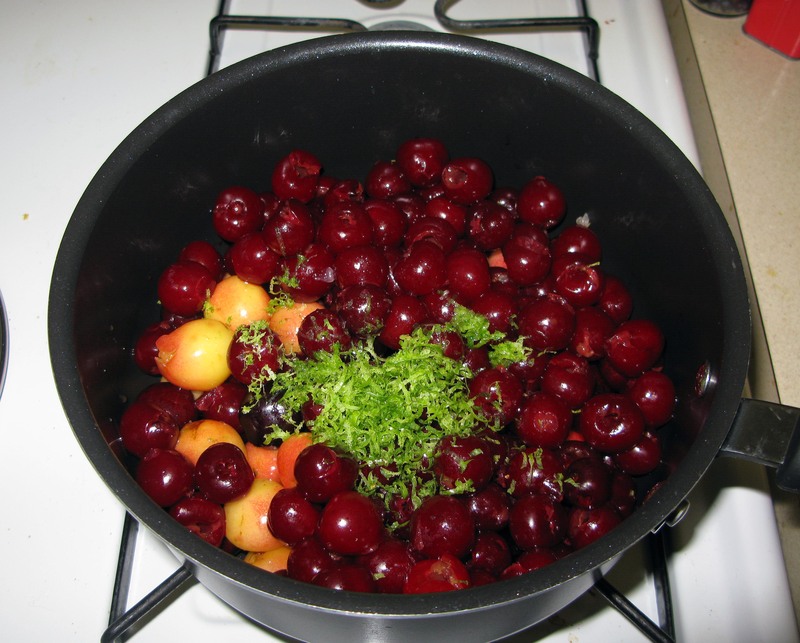 Put the pitted cherries in a medium saucepan and add the lime juice and zest. 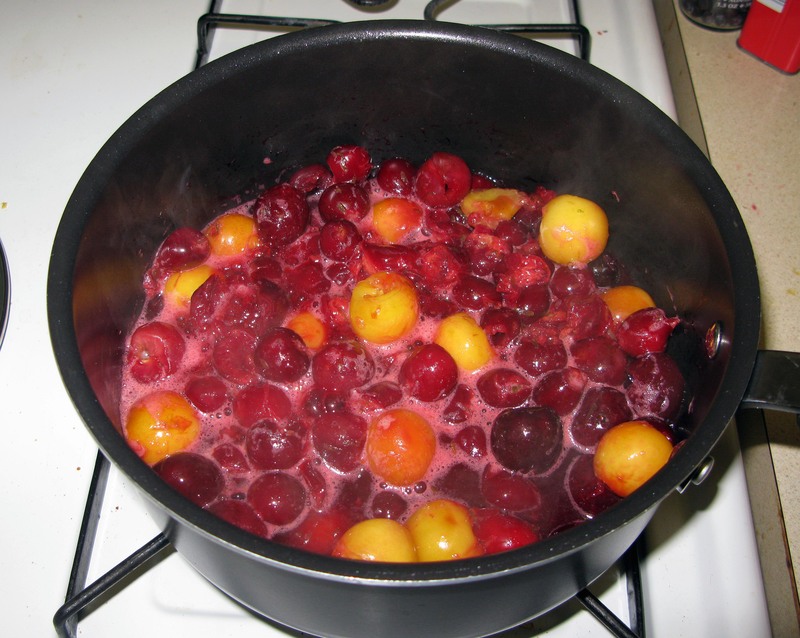 Give the cherries a stir and heat them over medium heat until they release approximately enough juice to cover themselves, stirring occasionally. While the cherries are sweating out their cherry goodness, stir together the sugar, cornstarch, and cinnamon in a medium bowl until it is lump-free. 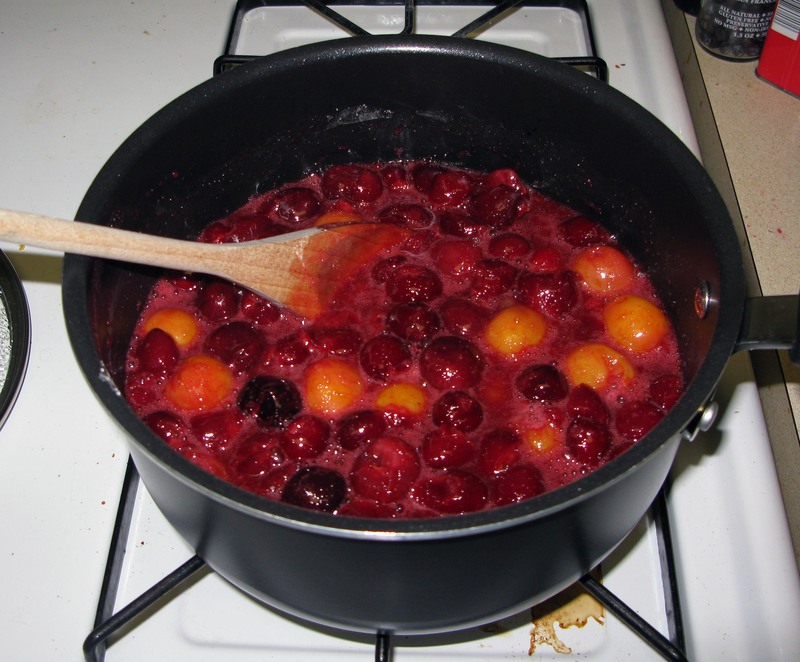 Remove the cherries from the burner and stir in the sugar mixture until smooth. Return the saucepan to medium heat and bring the mixture to a boil, stirring regularly. Once the juice boils, reduce the heat to low and continue to simmer until it gets nice and thick. 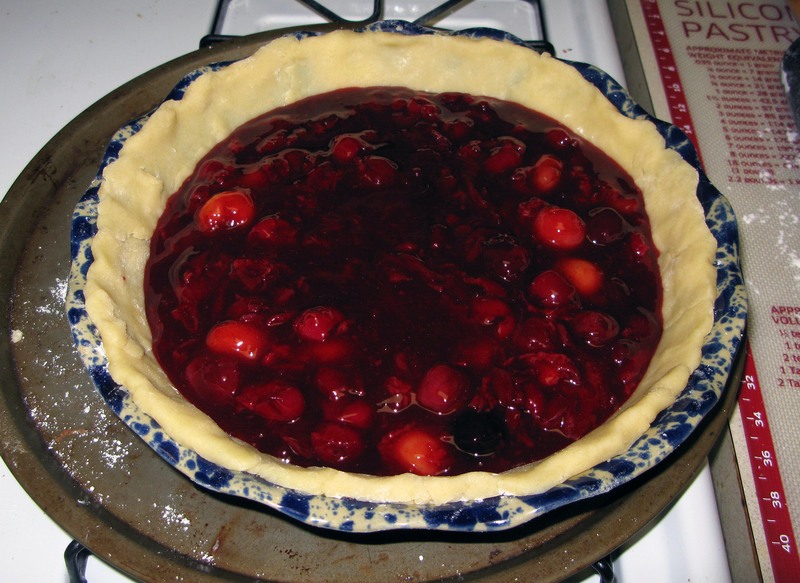 Allow the cherry mixture to cool to room temperature, then transfer it to a container and refrigerate it until cold (you can bake with it at room temperature in a pinch, but don’t pour it into the pie crust hot because it will melt the butter in the crust, and that will be gross). When everything has had a chance to chill, it’s time to make your crust decorations (if you’re doing a solid or lattice top crust, skip this step and do it after you’ve filled the pie). 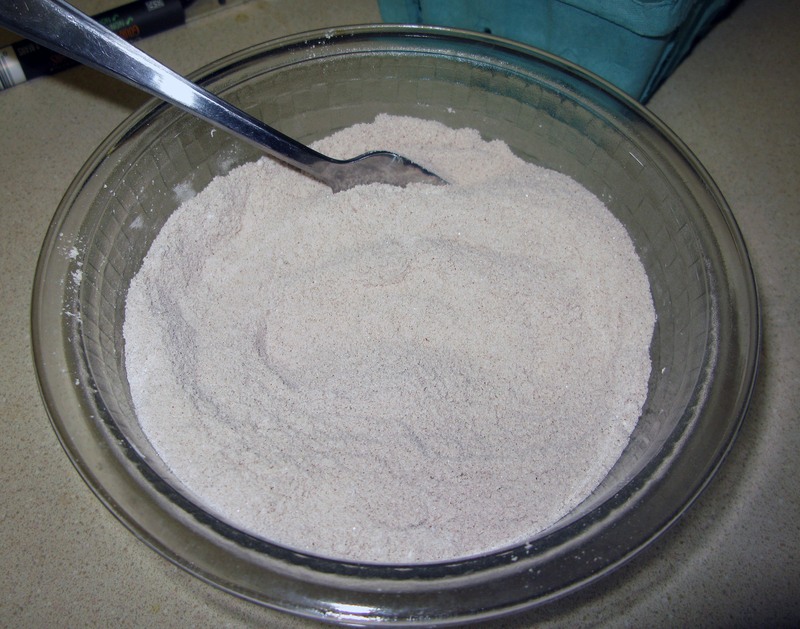 Roll out the smaller of the two pie crust discs to approximately ⅛” thickness on a lightly-floured surface. Using the template pieces from the recipe below, cut out the shapes of the SSR logo and carefully transfer them to a wax paper-lined plate. Cut out as many small stars as possible from the remaining dough using a star cookie cutter. Freeze the shapes while you prepare the rest of the pie to help them maintain their shape during baking. 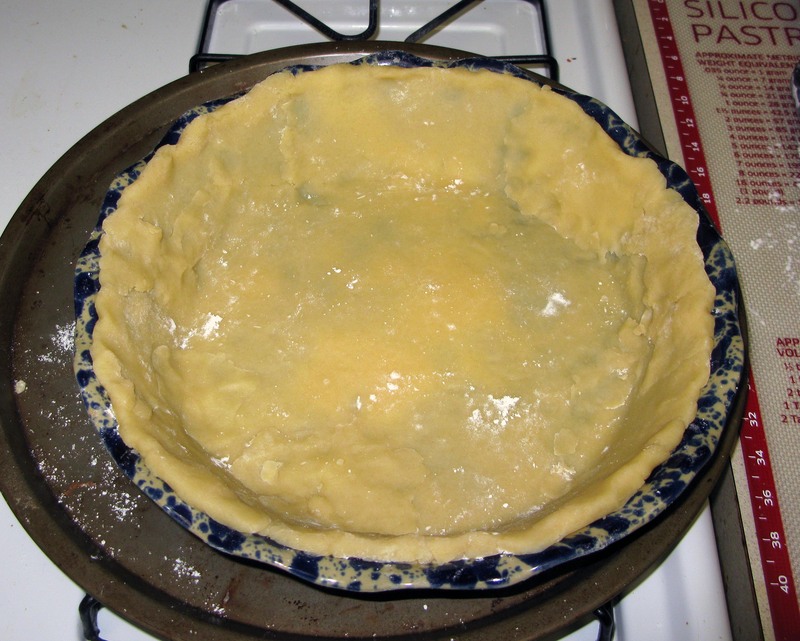 Next, roll out the larger pie crust disc to approximately ⅛” thickness. Fit this into a deep-dish 9″ pie plate, patching any holes or cracks as necessary (as you can see, I had a lot of holes and cracks to patch, so it’s pretty bumpy). Remove the pie crust stars from the freezer and arrange them around the edge of the pie (this conveniently hides and ugly/rough edges). Make sure that they stay within the bounds of the pie plate. Otherwise, they may melt off during baking and make a smoking mess in your oven (yes, I do speak from experience). 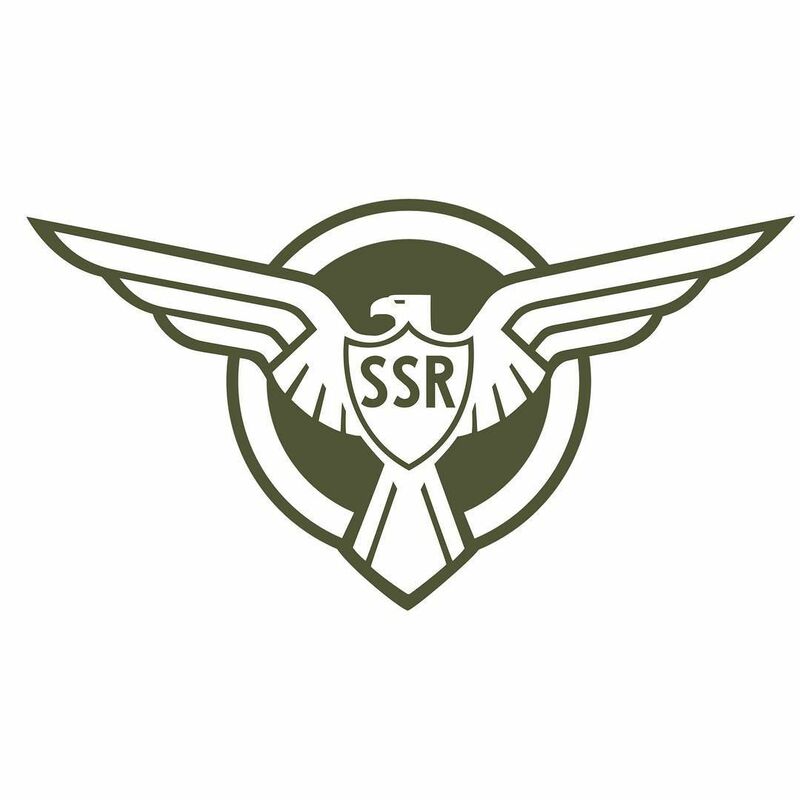 Finally, it’s time to assemble the SSR logo. Remove the remaining crust pieces from the freezer and arrange them according to the source image. VERY CAREFULLY, brush the crust with heavy cream, rearranging the pieces as necessary if they move around. Sprinkle the top with coarse decorating sugar if desired (and yes, you will desire). 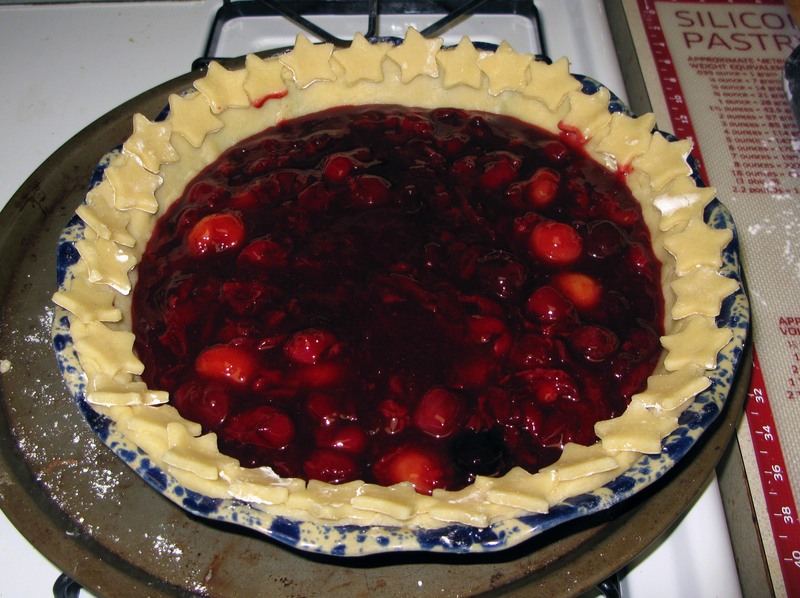 Place the pie in the fridge while you preheat the oven to 375°F. 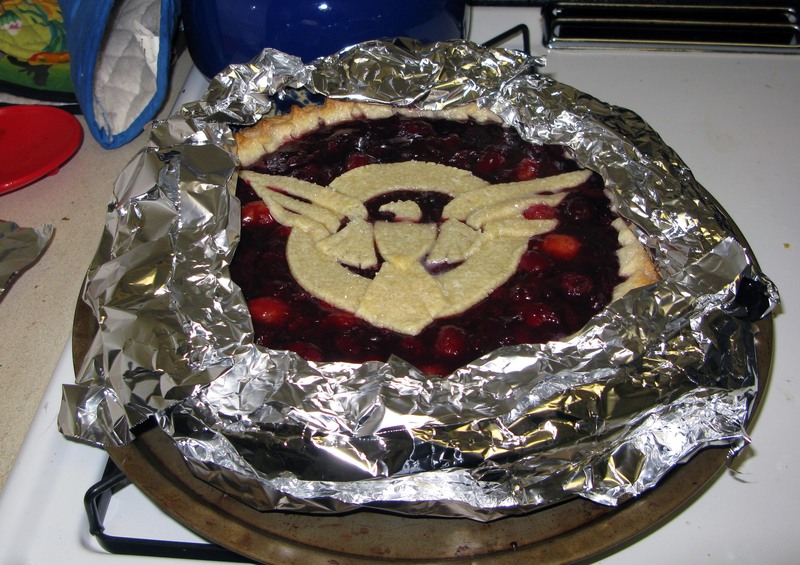 This will help to prevent the crust pieces from deforming during baking. When the oven is up to temperature, bake your pie for approximately an hour, checking after half an hour for browning around the edges. If your pie looks like that, cover the edge with crumpled pieces of aluminum foil (shiny side out) for the rest of the baking time. 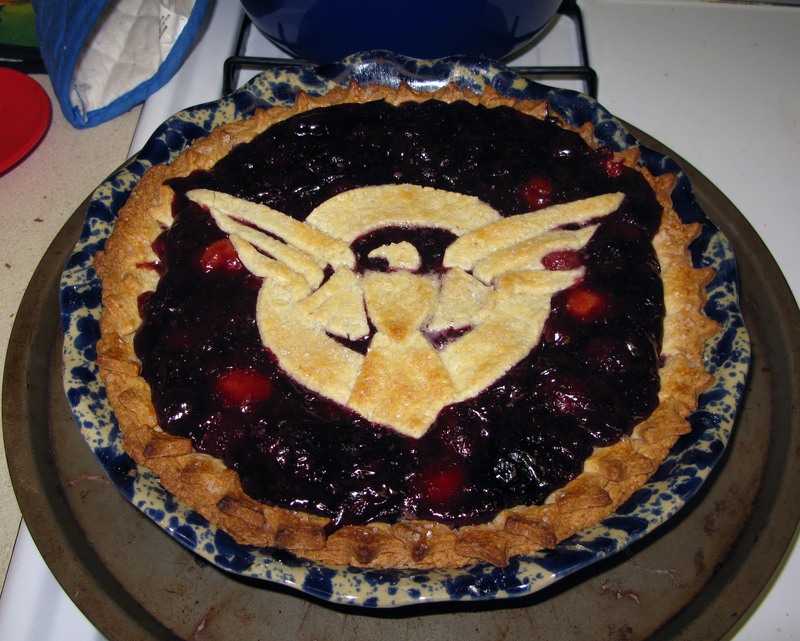 The pie is done when the SSR logo is golden brown and the filling is bubbly. Cool completely before cutting so that it doesn’t fall apart into a sad, soggy mess and refrigerate any leftovers.